Heavy Leather NYC is proud to announce the launch of 3 new styles to our line of vegan-friendly guitar straps. We introduced a non-leather category to our collection in 2015 and today we are highlighting the addition of 2 new signature straps and a zebra print vinyl strap. 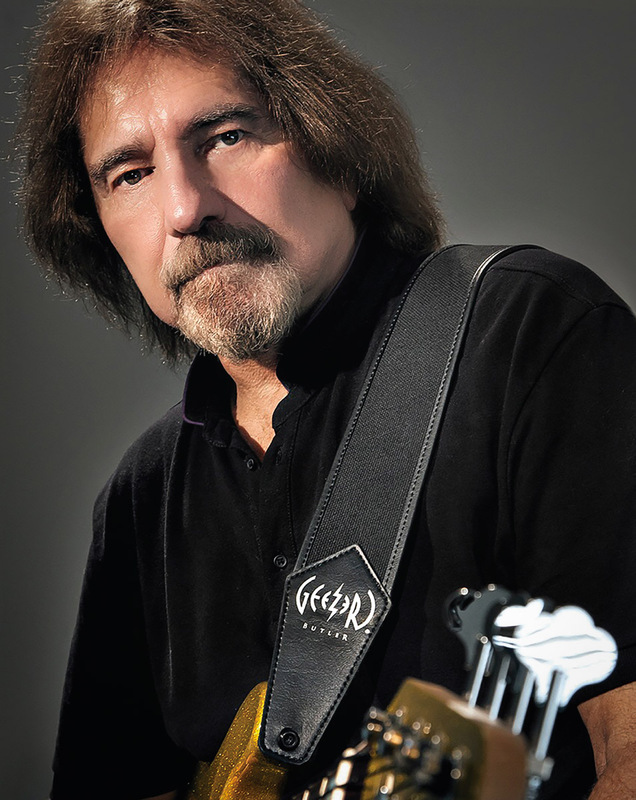 Geezer Butler of Black Sabbath has been wearing Heavy Leather NYC guitar straps since 2013. We’ve collaborated with him this year in the creation of his second Heavy Leather NYC signature vegan strap- made of marine grade vinyl and Martexin wax cotton. Designed with bass players in mind, it is 3” wide with padding and side binding for maximum comfort and durability. The heaviest gear for the heaviest sounds! We are excited to work once again with Misfits legend Doyle Wolfgang Von Frankenstein on his second official vegan guitar strap. The strap is styled with Doyle’s signature logo/stitch art printed in white on black vinyl. In addition to his signature straps, we make the custom straps that Doyle wears on his solo tour and Misfits reunion shows. Introducing the ‘Shout At The Devil’ vinyl strap- the most recent addition to our vegan line in 5 new colors. It is made of zebra print flocked taffeta and marine grade vinyl. The look is pure rock ‘n’ roll/punk/rockabilly/metal. This strap sells at a low retail price affordable to new and experienced musicians. We built this style with the same high-quality craftsmanship applied to all our other straps. Guaranteed to last. Designed and built in the U.S.A., the vegan strap line is shipping now and is sold on the Heavy Leather NYC website. The straps retail between $55-$60.